A few days after Thanksgiving 2017, activist Greg Cruz and photographer Allan Mestel pulled up to the drive-thru of a Sarasota Burger King and ordered 30 cheeseburgers. The two had met just a week before, at a potluck organized by Cruz where volunteers cooked and served food to the homeless. “Allan is always at these events,” Cruz says. “He was taking pictures because he loved the feeling and the atmosphere. He contacted me a few days later about starting something with my outreach and his photography.” That's how they found themselves at Burger King just a few days later. 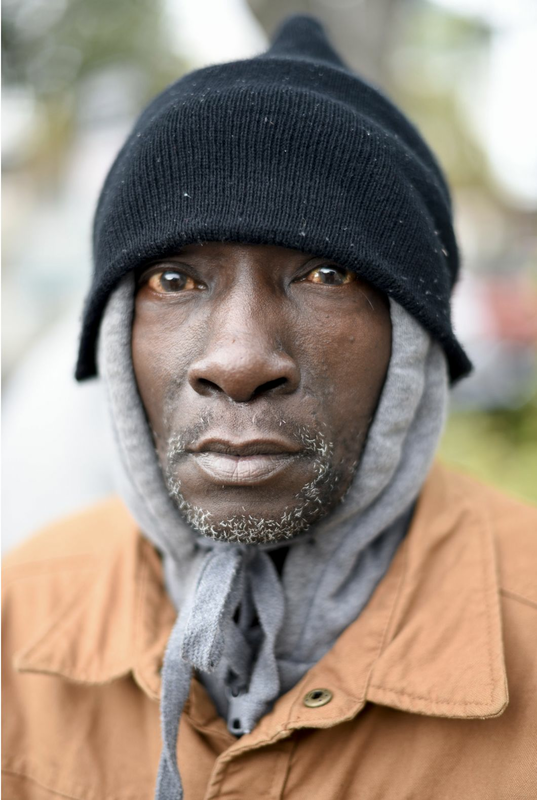 After picking up their order, Cruz and Mestel roamed the streets of Sarasota with cameras, handing out burgers to the homeless and snapping portraits of the people they encountered. “We started without an agenda,” Mestel says. They began posting the striking photos to a website they named Streets of Paradise. The site features an array of faces from all age groups and racial backgrounds. Some of the people are laughing, some are pensive, but all look as if they are mere inches away from the viewer. "I always make sure I'm no more than three feet away from my subject," Mestel says. 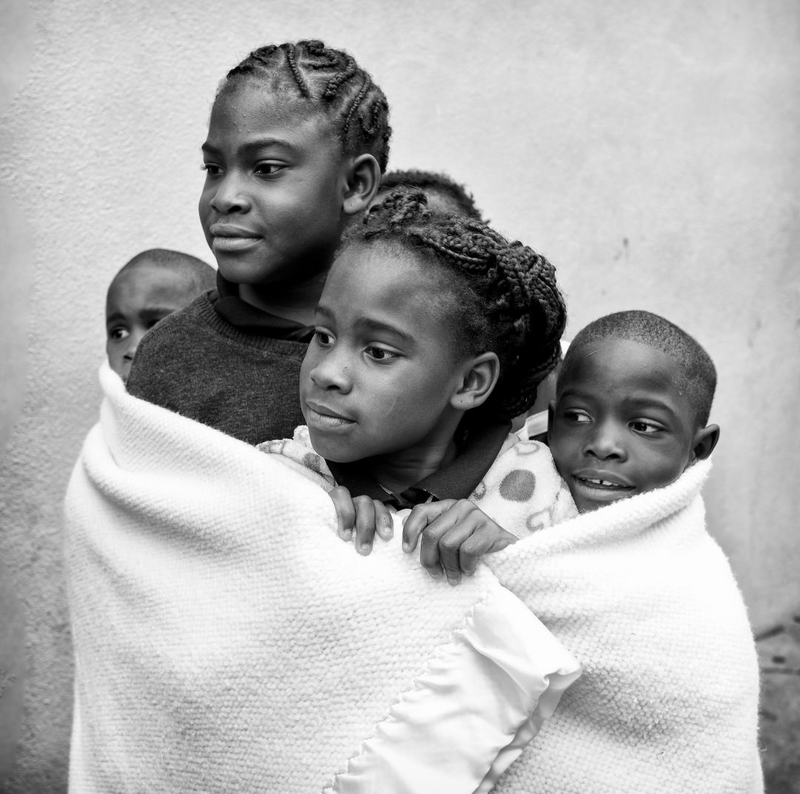 "It allows me to engage with them, and the images give the viewer proximity. If they're lying down, I'm lying down. If they're sitting down, I'm sitting down." As soon as the photos were posted, they gained traction. “The website went viral,” Mestel says. “I’ve had calls from people as far as Germany, telling me how it’s affected them.” Within months, the two filled out the paperwork to establish Streets of Paradise as a 501(c)(3) nonprofit. "Our nonprofit status allows us to fundraise more," Mestel says. "It gives us legitimacy and allows us to network with others in the nonprofit sphere. We've also gotten more attention from the press, and it's given our work more of a profile." That includes several grants that have allowed them to fund their Winter Program, a collection of events, mainly food shares, where volunteers use Facebook to coordinate the distribution of home-cooked meals to the homeless. Cruz and Mestel also collect donations and distribute vouchers for a night's stay at the Salvation Army. Their next event is a Christmas in the Park potluck that will take place at noon on Sunday, Dec. 21, at Sarasota's Five Points Park. More than anything else, Streets of Paradise provides stability. “A lot of these people don’t have consistent relationships, or people in their lives," Cruz says. "We do this all the time. That’s what separates us." Understanding homelessness in the area is complicated. 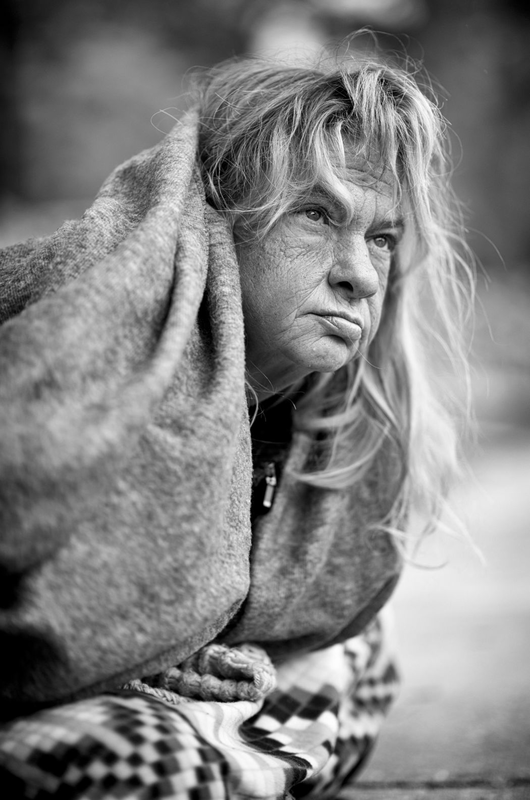 It was a wake-up call to many in 2005 when the National Coalition for Homelessness ranked Sarasota as the "meanest" city in America toward homeless people. According to the Suncoast Partnership to End Homelessness, 1,192 individuals are currently homeless in Sarasota and Manatee counties. That represents an 18 percent decrease from the previous year, but the organization reported a 4 percent increase in the number of homeless people living in Bradenton. While new Census data suggests that the local poverty rate is on the decline, the rising cost of housing in the area makes it difficult for some people to afford rent. The Sarasota Herald-Tribune recently reported that the cost of rent in Sarasota rivals those of substantially larger cities. And with the continued growth of people moving to Sarasota, that trend is likely to continue. "The gap in Sarasota is so wild. You have homeless people living outside of buildings where millionaires live," Cruz says. 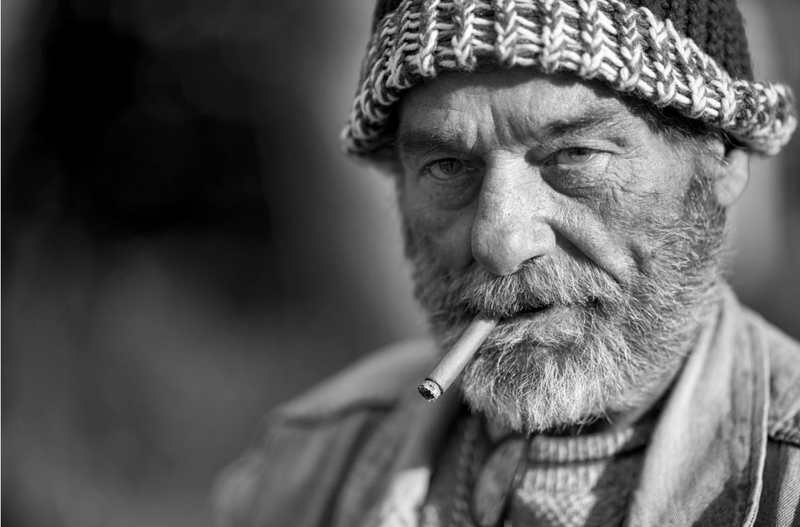 "As a former homeless person myself, it's been very easy for me to relate." Cruz believes that local government needs to change its approach to treating the homeless. Cruz and Mestel have considered organizing a physical exhibition of their photographs, but for the time being, the nonprofit is focused on direct action to help people like those who appear on their website. "I want people to think differently about the next homeless person that they come across," Mestel says.